Anita Clark at http://www.sellingwarnerrobins.com/ is a top real estate agent and blogger in the Warner Robins and Houston County, Georgia area. Anita is very active on social media and you can find her sharing great information and knowledge on Google+, Twitter, Pinterest and more. Anita's recent article on features every luxury home is a great read. Debbie Drummond at http://www.thelasvegasluxuryhomepro.com/ is a top Las Vegas, Nevada real estate agent and blogger who is very active on Twitter, Google+, Pinterest and more. Debbie knows the ins and outs of how to get a luxury home sold as demonstrated by her great blog posts. Debbie's recent article on home disclosure issues is a great read. Kyle Hiscock at http://www.rochesterrealestateblog.com/ is a top Rochester, New York real estate agent and blogger who works in a Father Son team with his dad Keith Hiscock. Both Kyle and Keith have over 30 years of real estate experience combined and that experience is readily seen through their information packed blog posts. Kyle's recent article on selling a home when kids are involved is a great read. Karen Highland at http://frederickrealestateonline.com/ is a top Maryland real estate agent, active blogger and social media enthusiast. Karen and her husband Chris Highland are a dynamic duo when it comes to representing their clients real estate needs in the Frederick, Montgomery, Carroll, Howard & Washington Counties of Maryland since 1993. Karen's recent article on mortgage mishaps to avoid is a great read. Lynn Pineda at http://www.imagineyourhouse.com/ is a top Southeast Florida real estate agent, active blogger and social media enthusiast. Lynn is active on Google+, Twitter, LinkedIn, Facebook and more. Lynn's recent article on understanding buyer feedback is a great read. Ryan Fitzgerald at http://www.raleighrealtyhomes.com/ is a top Raleigh, North Carolina real estate agent, active blogger and social media enthusiast. Ryan is active on Google+, Twitter, LinkedIn and more. Ryan's recent article on how to sell your home for more than your neighbor is a great read. Andrew Fortune at http://www.greatcoloradohomes.com/ is a top Colorado Springs real estate broker, active blogger and social media enthusiast. Andrew is active on Google+, Twitter and more. Andrew's recent article on the new CFPB regulations is a great read. Jeff Knox at http://www.knoxre.com/ is a Dallas-Fort Worth, Texas real estate broker/owner of Knox & Associates, and active blogger. Jeff is active on Google+, Twitter, LinkedIn and more. Jeff's recent article on reasons why a FSBO is not the way to go is a great read. Wendy Weir at http://www.wendyweirrelocation.com/ is a top Oakland County, Michigan real estate agent, blogger and social media enthusiast. Wendy is active of Google+, Twitter, LinkedIn and more. Wendy's recent article on getting the best service professional is a great read. Xavier De Buck at http://www.immoafrica.net/ is a top Northclif, Johannesburg real estate agent, blogger and social media enthusiast. Xavier is active on Google+, LinkedIn, Twitter and more. Xavier's recent article on 7 mistakes to avoid which choosing an estate agent is a great read. Teresa Cowart at http://teresacowart.com/ is a top Savannah, Georgia real estate agent, blogger and social media enthusiast. Teresa can be found on Google+, Twitter, Facebook and more. Teresa's recent article on designing an outdoor kitchen is a great read. Dan Miller at http://www.madcitydreamhomes.com/ is a top Madison, Wisconsin real estate agent, blogger and social media enthusiast. Dan is active on Google+, Twitter, LinkedIn and more. Dan's recent article on getting ready to list next year is a great read. Tina Israelson at http://www.orlandotinarealtor.com/ is a top Orlando, Florida real estate agent, blogger and social media enthusiast. Tina is active on Google+, LinkedIn, Facebook and more. Tina's recent post on what a real estate agent can do that Zillow does not is a great read. Jeff Gould at http://www.fishhawkranchrealestate.net is a top Tampa Bay, Florida real estate agent, active blogger and social media enthusiast. Jeff is active on Google+, Twitter, Facebook, LinkedIn, Pinterest and more. Jeff's recent article on preparing your home for showings is a great read. Ferris Property Group at http://www.ferrispropertygroup.com is a top Indianapolis, Indiana real estate group, active in blogging and social media. Ferris Property Group is active on Google+, Twitter, Facebook, Pinterest and more. Their recent article giving 5 design tips for your living room is a great read. Barb Bottitta at http://www.lvhomeexpert.com/ is a top Allentown, Pennsylvania real estate agent and social media enthusiast. Barb is active on Google+, Twitter and more. Mark Brian at http://uglybuthonest.com is a top real estate agent in Anderson, South Carolina, active blogger and social media enthusiast. Mark is active on Google+, Twitter, Facebook and more. Chris Finney at http://finneylawfirm.com/ and https://ivypointetitle.com/ is an Ohio and Kentucky licensed attorney, active blogger and social media enthusiast. Chris focuses on commercial, public interest, real estate law in his practice. He was kind enough to take time out of his busy schedule to sit down with me and record a podcast on What A Title Company Does. Chris's recent article on commercial real estate options to purchase is a great read. Todd Engle at http://www.goodeyeinspections.com/ is a Cincinnati, Ohio home inspector and active social media enthusiast. Todd is active on Google+, Twitter, Facebook and more. Todd was kind enough to sit down with me for one of my podcasts about Home Inspections. Structure Tech at http://www.structuretech1.com/ is a St. Louis Park, Minnesota home inspection company. Active in blogging and social media Structure Tech can be found on Google+, Facebook and more. Their recent article on air conditioners leaking in attics is a great read. Mike Chamberlain at http://www.mc2inspections.com/ is a Denver, Colorado home inspector, active blogger and social media enthusiast. Mike is active on Google+, Twitter and more. Mike's recently shared post on interior sources of water damage is a very informative video. Ryan Lundquist at http://www.sacramentoappraisalblog.com is a Sacramento, California real estate appraiser, active blogger and social media enthusiast. Ryan is active on Google+. Twitter, LinkedIn, Facebook, Pinterest and more. Ryan's recent article on including two separate plots in one appraisal is a great read. Shannon Slater at http://dwslaterco.blogspot.com/ is a Dallas, Texas real estate appraiser, active blogger and social media enthusiast. Shannon is active on Google+, Twitter and more. Shannon's recent article on appraising is Like a Track Meet is a great read. Tom Horn is a residential real estate appraiser in Birmingham, Alabama, active blogger and social media enthusiast. Tom's recent post on home loan as related to value is a great read. Seth Williams at http://retipster.com/ is a top blogger and social media enthusiast in the real estate investment area. Seth is active on Google+, Twitter, Facebook and more. Seth's recent post on what happens after an offer is accepted is a great read. Mark Ferguson at http://investfourmore.com/ is a top blogger and social media enthusiast in the real estate investment area. Mark is active on Google+, Twitter, LinkedIn and more. Mark's recent post on how much a real estate agent makes in their first year is a great read. Luke Skar at https://www.madisonmortgageguys.com/ is the web developer, web master, SEO specialist and a top blogger for Inlanta Mortgage – Madison. Luke is stellar at what he does and great at helping others achieve great results. Luke is active on Google+, Twitter, LinkedIn and more. Luke's recent post about converting a primary residence into a rental is a great read. Michael Mann at http://themichaelmannteam.com/ is a top mortgage planner, blogger and social media enthusiast. Michael is active on Google+, Twitter, Facebook, LinkedIn and more. Michael's recent post about where mortgage rates are headed in the near future is a great read. Debbie Gartner at http://theflooringgirl.com/ is a top flooring expert based out of West Chester County, New York. Debbie is also very active in blogging and in social media. Debbie is active on Google+, Twitter and more. Debbie's recent article on dark floors vs light floors is a great read. Abacoa Homes at http://www.jupiterabacoahomes.us/ is a real estate portal and guide for homes in Jupiter, Florida. Abacoa Homes is active on Google+, Twitter, Pinterest, Facebook and more. Ballenisles Homes at http://www.ballenislesre.com/ is a real estate portal and guide for homes in Palm Beach Gardens, Florida. Ballenisles Homes is active on Google+, Twitter, Pinterest, Facebook and more. Mizner Country Club Real Estate at http://www.waterfront-properties.com/delraybeachmiznercountryclub.php is a real estate portal and guide for homes in Delray Beach, Florida. Mizner is active on Google+, Twitter, Pinterest, Facebook and more. Tyler Zey at https://www.easyagentpro.com/blog/ is a real estate marketing expert and blogger helping real estate agents build leads with great internet marketing ideas. Tyler is active on Google+, Twitter and more. Adrienne Hollis at http://www.google.com/+AdrienneHollis is a real estate administrator and social media enthusiast. 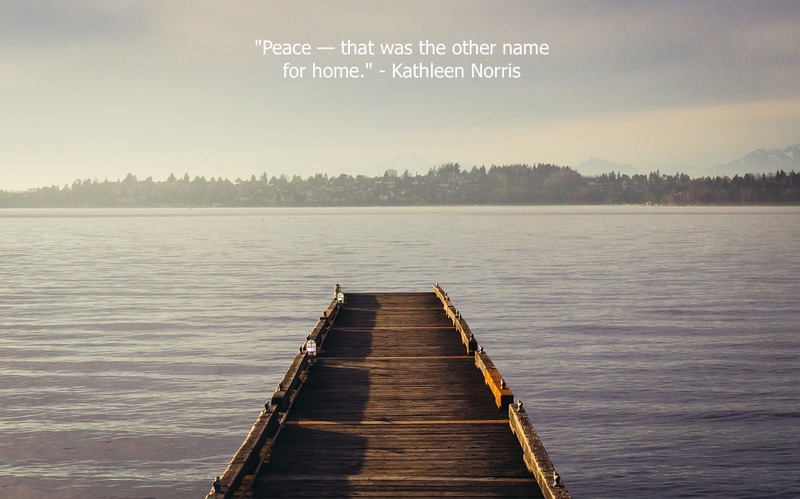 Adrienne is a prolific sharer of real estate blogs, statistics and more. Adrienne can be found on Google+, Twitter and more. Anyone I missed on the list? Please mention them in the comments below. Looking for a real estate professional in your area? Get in touch with me and I can help you find someone to help you out! 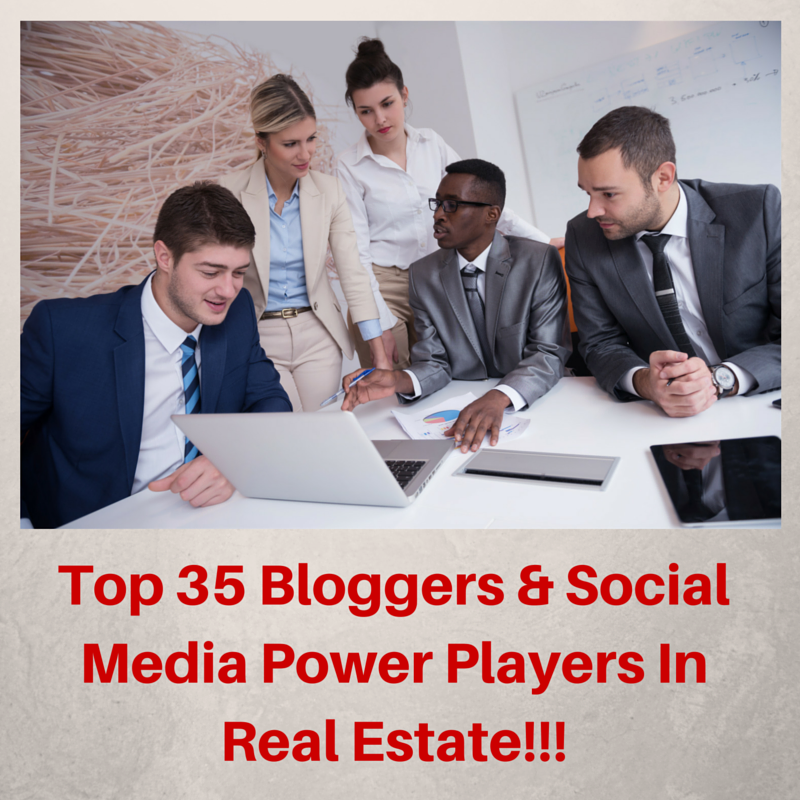 About the author: The above article “Top 35 Bloggers & Social Media Power Players in the Real Estate Industry” was provided by Paul Sian. Paul can be reached at paul.sian@herrealtors.com or by phone at 513-560-8002. With over 10+ years experience, if you’re thinking of selling or buying, I would love to share my marketing knowledge and expertise.